Coatesville, PA — Iron Spring Farm’s Florianus II is most recognized for his international Grand Prix career, and now his offspring are making a name for him as a sire. 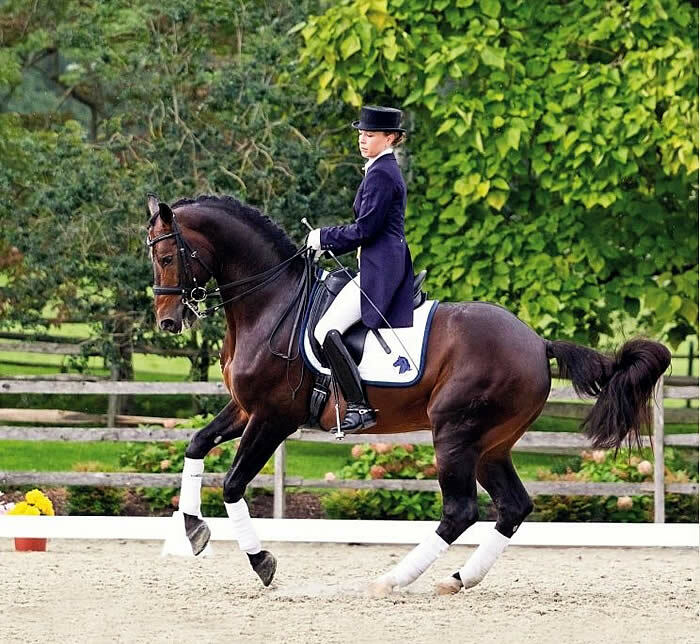 His son For Set was recently approved by the Westfalen Verband in Germany, and his daughter Florencia B is winning at Grand Prix CDIs in Europe, and is currently ranked number 82 in the world. 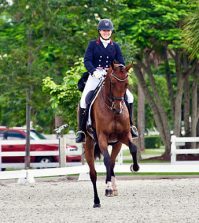 For Set, a 2008 stallion out of the States Premium mare Riwera by Royal of Loh, earned 9s on his interior and constitution, as well as an 8.5 on his riding test during his stallion testing. 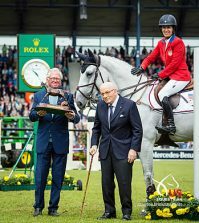 Florencia B, ridden by Katarzyna Milczarek, the Polish National Grand Prix Champion, won the Grand Prix Special at the 2012 CDI3* in Brno. “Florianus personifies the modern dressage horse,” explained owner Mary Alice Malone. “He has exceptional movement and elasticity, along with a wonderful attitude — qualities he passes on to his offspring.” Noteworthy sons and daughters helped Florianus II win the prestigious Get of Sire class for two consecutive years (2011, 2012) at North America’s largest breed show, Dressage at Devon. Among Florianus’ North American offspring is Floraya ISF, the 2012 GAIG/USDF Breeders’ Championship East Coast Filly Champion and winner of the KWPN-NA 2 and Under class with a 86.6 at Dressage at Devon. She also won two classes at Dressage at Devon in 2011. In limited breeding, Florianus has produced six 1st Premium foals from his North American foal crops, including Hermes ISF, Garth ISF, Gemini ISF and Glory ISF. 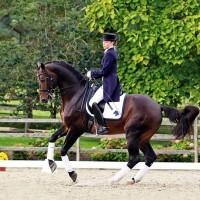 As a Grand Prix horse, Florianus II was the most successful Westfalen dressage horse in Germany in 2007. 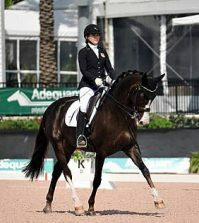 He continued his winning ways in the United States, including the Grand Prix at Dressage at Stone Wall Tavern with Catherine Malone. His sire, Florestan I, has sired dozens of international Grand Prix horses. This line is recognized for their athletic ability and good temperaments. 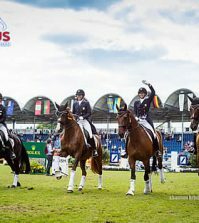 Florianus is approved by the KWPN, Hanoverian Verband, Westfalen Verband and Oldenburg Verband. To learn more, check out Iron Spring Farm’s Facebook page and www.ironspringfarm.com for photos, videos and more stories. For more than 35 years, Iron Spring Farm has been importing and breeding high quality sport horses. Iron Spring stands nearly a dozen warmblood and Friesian stallions and offers programs to help breeders produce, raise and market exceptional athletes of their own. Visit www.ironspringfarm.com for complete information.